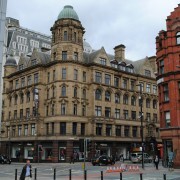 Description A bespoke fit out of a Grade 2 Listed Building in the centre of Manchester. This building in excess of 100 years old was modernised to the highest contemporary standard whilst complimenting the original features of the building without ruining its grade 2 listed status. Description To the dry dock area at Media City, satellites were installed for the transfer of communications signals around the globe. 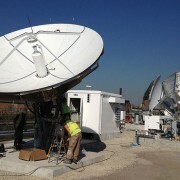 Our works comprised of the cabling infrastructure, mains power and lighting to each of the satellite positions. 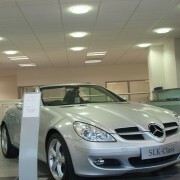 Description This project consisted of a full design package by Konect followed by the supply and installation of a new contemporary lighting design along with power, containment systems and a new communications infrastructure. 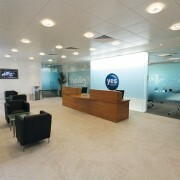 Description A major refurbishment was carried out to enable Vodafones YES Telecom to take tenancy of two floors. A new installation was carried out to provide lighting, power, mains distribution and a new Category 6 communications cabling system.